As people become increasingly concerned about the destruction of the environment on planet Earth, another serious littering issue is arising on the surface of the moon where humans have dumped more than 400,000 pounds of trash till date – and we’ve hardly ever gone there! 1969 was a monumental year in the history of mankind which marked the first human space expedition to the moon. NASA called the Apollo mission a huge step in space travel and since then, astronauts have traveled from Earth to the moon no more than six times. According to Half as Interesting’s report, astronauts have left behind 800 different objects on the surface of the moon. 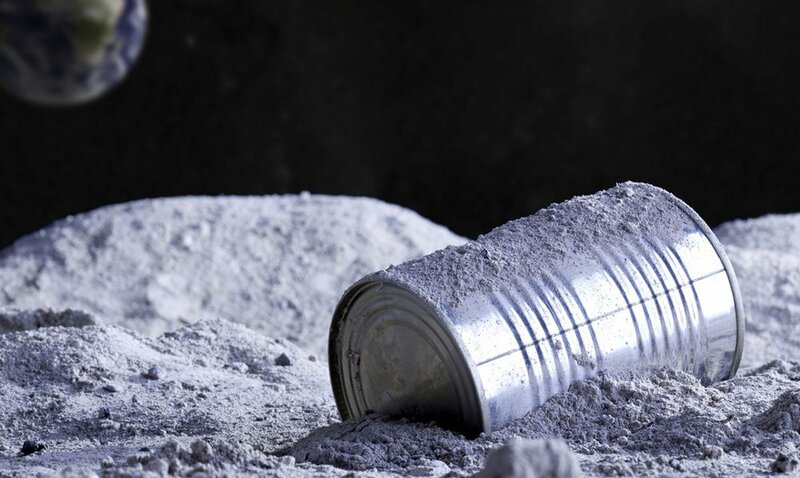 But while everyone was talking about NASA’s accomplishments in space travel, one very serious issue went unnoticed: the amount of stuff the astronauts had left behind on the surface of the moon after each mission, a testament of humans’ reckless and selfish nature. The issue was first bought to light by a YouTube channel called Half as Interesting which reported that in only 6 trips to the moon, NASA’s astronauts have left behind at least 800 objects on the surface of the moon. But the U.S. space station isn’t the only one at fault here; Debris from the Russian Space Agency’s Luna programme also contributed to the littering problem on the moon, bringing the grand total to 400,000 pounds of human trash left on the lunar surface. Not cool, astronauts. However, not everything left behind on the moon is discarded waste. 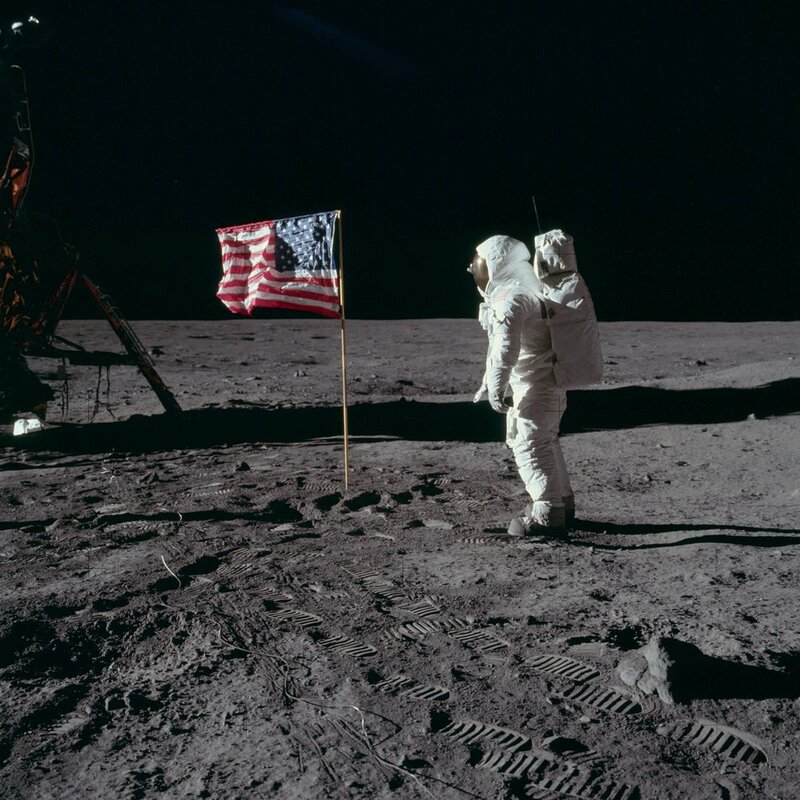 Some of the debris is of extreme scientific importance to NASA along with objects of sentimental value such as the American flag planted by Neil Armstrong, the first astronaut to set food on the surface of the moon. But the rest of the objects, were dumped simply because the astronauts didn’t want to take it back to Earth. 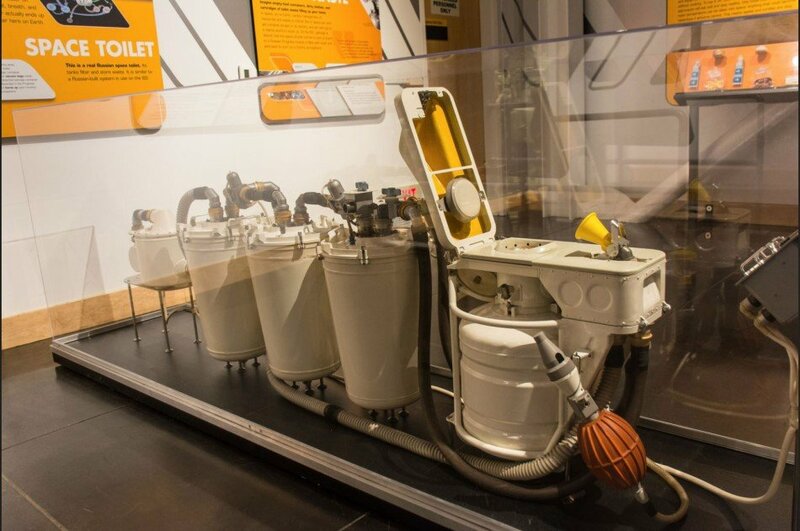 Be begin with, 6 pieces of Apollo equipment, weighing over 33,000 pounds were left behind on the first mission, whereas the ascent vehicles which the astronauts used to get back to the green planet only weighed 10,000 pounds. Scientists have also left several retroflectors scattered on the surface of the moon which helped them discover that the moon is getting further away from our planet at the speed of 3.8 cm per year. But wait, we’re not even close to being done with the list of items left behind by astronauts of the six Apollo missions. The report from Half as Interesting also states that almost 100 bags of human waste including feces are drifting across the surface of the moon, along with pairs of nail clippers, pictures of astronauts who actually went there and golf balls tossed by Alan Shepard, an astronaut aboard Apollo 14. One of the strangest things you’d discover if your ever visited the moon yourself is the abundance of $2 bills floating in the air. Apparently, the astronauts of the Apollo missions were paid $17,000 at that time, which is equivalent to $100,000 today, so it’s no surprise that they simply ‘forgot’ a stack of $2 bills on the moon. It was actually James Irwin and Dave Scott who came up with the genius idea of taking $2 bills on the moon and photographing them there. They had intended to sign the bills and bring them back to Earth to sell them at an auction for a large profit. Too bad that they simply forgot about the bills and returned to Earth without them. The astronauts also carried several postage stamps with them which became a subject of a huge scandal after NASA discovered that the crew members had illegally sold 100 stamps to German dealers without the space agency’s authorization. The Congress ordered NASA to take disciplinary action against the crew members involved in the secret deal. Several astronauts, including David Scott who admitted to carrying the stamp, were interrogated and all the stamps were confiscated by NASA. So what do environmental experts have to say about the issue? Apparently, the littering on Moon isn’t as terrible as it is on Earth – although we’ve only been there a total of six times – but it’s not ideal, especially by the standards of some of the most accomplished, highly trained and educated astronauts who are expected to be environmentally conscientious, whether on the Earth or the Moon. Should NASA have strict rules to prevent astronauts from littering on the moon?